My Mom and I got together and made 4 different Jams (Strawberry Jam, Strawberry-Port Jam, Cinnamon Blueberry and Green Tomato Blueberry Jam). 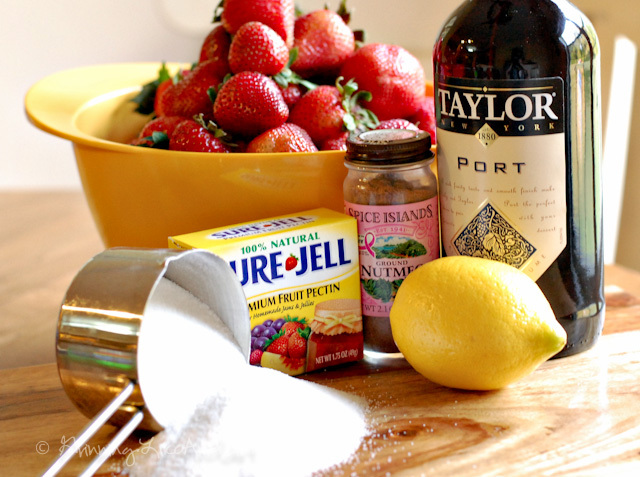 This Strawberry Port-Jam was a fantastic accident that turned into fruitful delicious sauce! 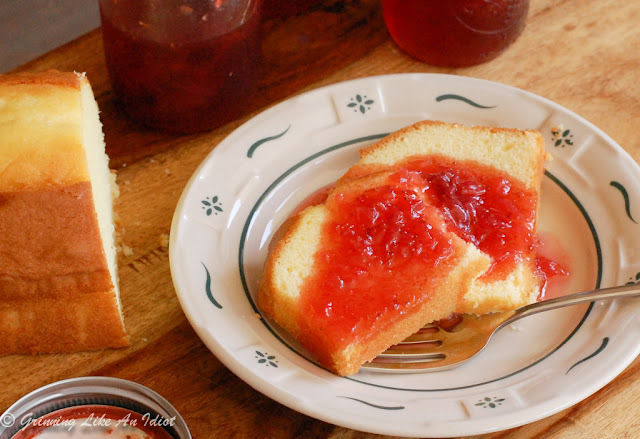 For canning instructions and helpful tips, visit my previous post on our Strawberry Jam Family Recipe. This recipe is the same as the Strawberry Jam with a couple of additions: add in Nutmeg, Lemon Rind and PORT (a super sweet dessert wine)! Process thawed/fresh strawberries in a 4-cup measuring cup. 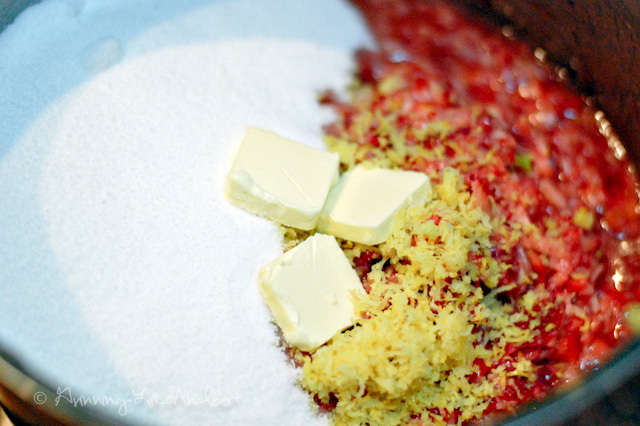 Stir together strawberry mixture, ruby port, sugar, grated lemon rind, and ground nutmeg in a large saucepan. Bring mixture to a full rolling boil, and boil, stirring constantly, 1 minute. Add in powder pectin, stirring constantly, and bring to a full rolling boil. Boil 1 minute. For a sauce: Remove from heat. For Jam, cook down until it thickens; Remove from heat. Pour hot jam immediately into hot, sterilized jars, filling to 1/4 inch from top. Remove air bubbles; wipe jar rims. Cover at once with metal lids, and screw on bands. Note: Ruby port is a deep red-colored sweet wine typically enjoyed as an after-dinner drink. It's usually sold in liquor stores because of a higher alcohol content than other wines.